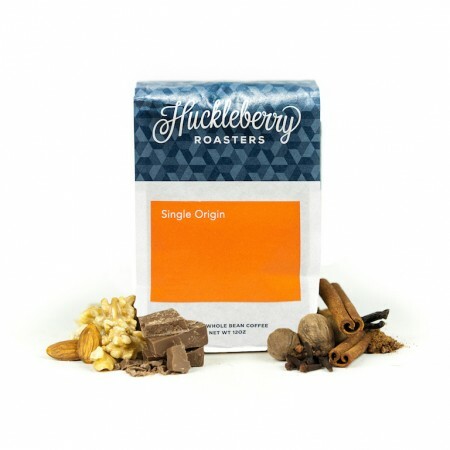 The El Salvador San Rafael was carefully roasted for you by Huckleberry Roasters. Grown by the ACAPARSAR Cooperative in the Sonsonante region at 1,550 meters, this fully washed coffee is a perfect example of why we love coffees from El Salvador. Enjoy the mellow, full bodied cup with notes of walnuts and a balanced, pleasant acidity. I love how bright this was. This coffee was better than the first. I liked the citrus and avidity. I liked the light roast, maybe slightly dark than I usually drink. I'm not usually a drink of American coffees (tend to gravitate towards African due to the fruity citrus notes, not because j dislike C or S American). When I brewed this coffee at a lower temperature I got some great brightness and subdued roastyness. This coffee has changed my view on the fruity, acidic, and citrus ability of C and S American coffees. wow. I love this. Like a lot. 5 stars - worth seeking out. Buttery with balanced sweetness. Forgiving to brew: changes to quantity and temperature always produced a great cup. This started as the best one so far, with a delicious buttery and fruit taste; however the flavor faded pretty fast and lost some of its great flavor. I loved the complex flavor that morphed across your tongue. This would be a five if it just retained all of its flavor. One of my favorite so far. I like getting coffee from some cool outdoor destinations I would actually like to go to such as Colorado like this coffee. This coffee is very smooth with good flavors. Too sour or acidic...not sure which! Good coffee, like the color when brewing it. Smells great,taste balanced. Pretty good. Didn't quite blow me away (very few coffees do), but I definitely enjoyed it. Not too acidic, very sweet, great black but also pairs well with milk. So versatile! Love it. Ok in my Chemex. Not too much distinctive, but not bitter either.